The case study describes the needs of a fictitious client who requires a website that can be a wiki, or have product reviews, or an image gallery. We describe some background information about the client, and go into more detail about their specific requirements. Each chapter introduces one or more major modules or Drupal concepts, and the Spotlight sections provide a "bird's-eye view" of what each specializes in and how it works. Think of this section as a miniature "product sheet" that highlights features of a given module and what it can do. There are a lot of helpful add-on modules that can be introduced to a particular use case to make it even more powerful. This section provides references to additional modules that enhance the functionality built out in the hands-on sections. This section wraps up what we've learned over the course of the chapter, and provides links to the modules used, and other resources that provide more information. Here is a list of the chapters this book covers. The first three chapters are considered "required reading" if you haven't used Drupal before. The rest of the chapters will assume knowledge of the basics of Drupal, and the Views and CCK modules. If you've used Drupal 5 but haven't yet used Drupal 6, you may also want to skim these chapters (particularly Chapter 3, as Views has changed significantly in Drupal 6). The first hands-on chapter hits the ground running, and will show you how to use Drupal's core functionality, as well as a few contributed modules, in order to build a basic business website. By the end of this chapter, you should feel comfortable in Drupal's administrative section, and also know how to create basic content through a WYSIWYG interface with the FCKeditor and IMCE modules. We'll also discuss Drupal modules that can help handle inevitable abuse, including Mollom. This chapter introduces the Content Construction Kit (CCK) and Views modules by walking through the construction of a job-posting website. By the end of this chapter, you'll understand how to create custom content types and add form fields, as well as how to click together lists of any type of website content, which are the basis of all the other chapters in the book. In this chapter, you will build a community product review website, with the Amazon module providing the product data, and the Voting API and Fivestar modules providing a rating widget. This chapter covers several tools that can be used to create a wiki in Drupal, among other uses. The node revisions system (coupled with the useful Diff module), the Markdown filter for easy HTML entry, the Freelinking module to automatically create and link wiki pages, and the Pathauto module for automatically creating search engine-friendly URLs are all discussed in detail. This chapter talks all about implementing custom publishing workflows with Drupal's Actions system combined with the Workflow module, and the Views Bulk Operations and Workspace modules for creating custom administration screens. This chapter helps you build a family photo gallery using the ImageField module, along with ImageCache to automatically generate sized thumbnails. This chapter describes how to build a multilingual site using the Locale, Content Translation, and Internationalization suite of modules. 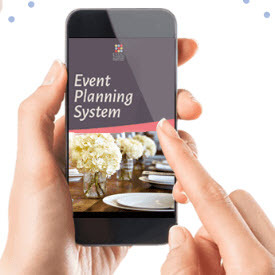 This chapter's all about how to do event management in Drupal, featuring the Date and Calendar modules for storing and displaying event information, and the Flag module for keeping track of who's coming. Use the powerful Ubercart suite of modules to build a T-shirt store that includes such features as a product catalog, shopping cart, and payment processing. This chapter provides some overview information about Drupal's theming system, and some basic tricks you can use to override the look and feel of Drupal. By reading this chapter, you can start modifying template files and start to give Drupal your own look and feel! If you're new to Drupal, this appendix will get you up to speed on how to install it, as well as how to do upgrades down the road. This appendix lists the modules and themes used in each chapter to re-create the hands-on sections.